Chainmail is a type of armor that was worn mainly in Europe during the Middle Ages. 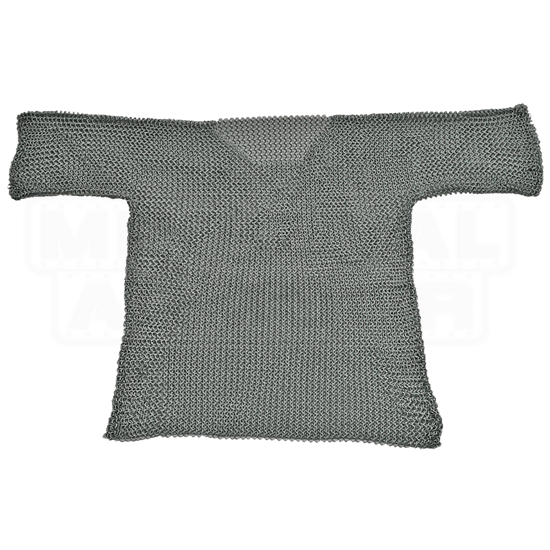 This Large Silver Chainmail Shirt is not a functional piece of armor, but it will serve its purpose well as the finishing piece of a LARP costume. 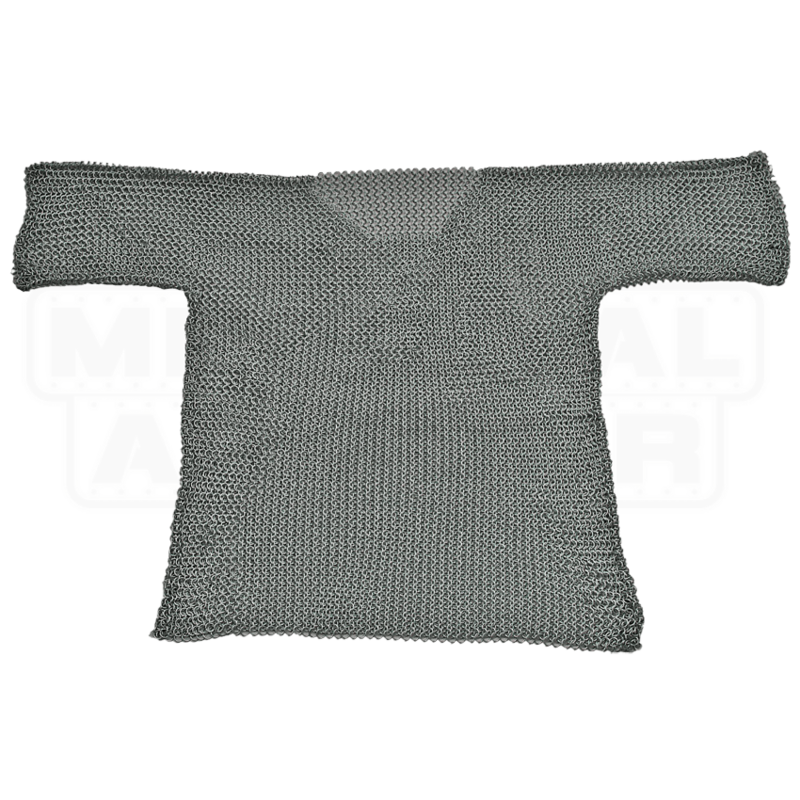 Made from 16 gauge steel using butted construction, this mail shirt offers its user an accurate representation of armor worn by medieval warriors. Butted mail is the most economical construction style of mail and has limited historical precedent. It is fine for general costuming and roleplaying use, but is not recommended for weapons-contact reenactment.